Adelaide Law School would like to congratulate Cathryn Somerville, who has been awarded the inaugural Duncan Basheer Hannon Scholarship. This scholarship has been established to benefit a student who is in their second year of their Bachelor of Laws Program. Adelaide Law School would like to thank Duncan Basheer Hannon for their continued generous support of our Adelaide Law School students. 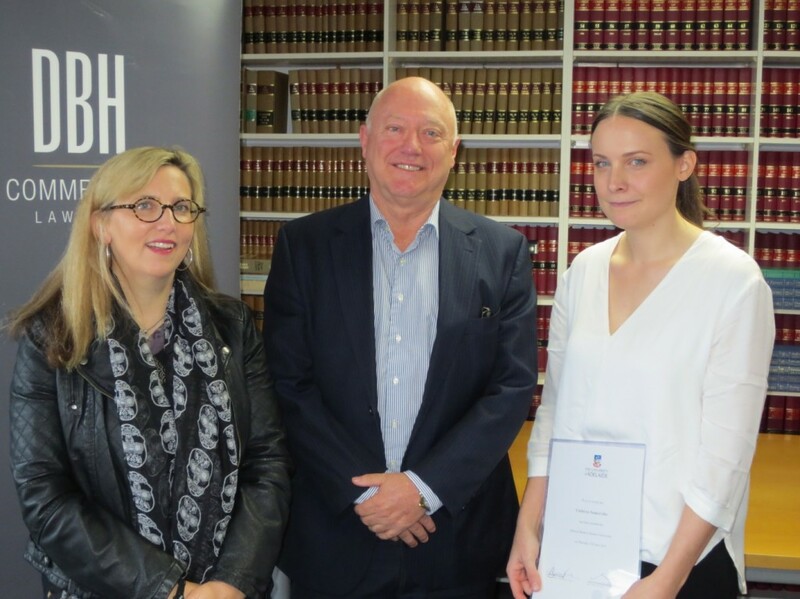 This entry was posted in Student and tagged 2014 Law Scholarships, adelaide law school, DBH, Duncan Basheer Hannon Law Scholarship, scholarship. Bookmark the permalink.